I’m amazed my beard hasn’t left me over the way I’ve treated it. 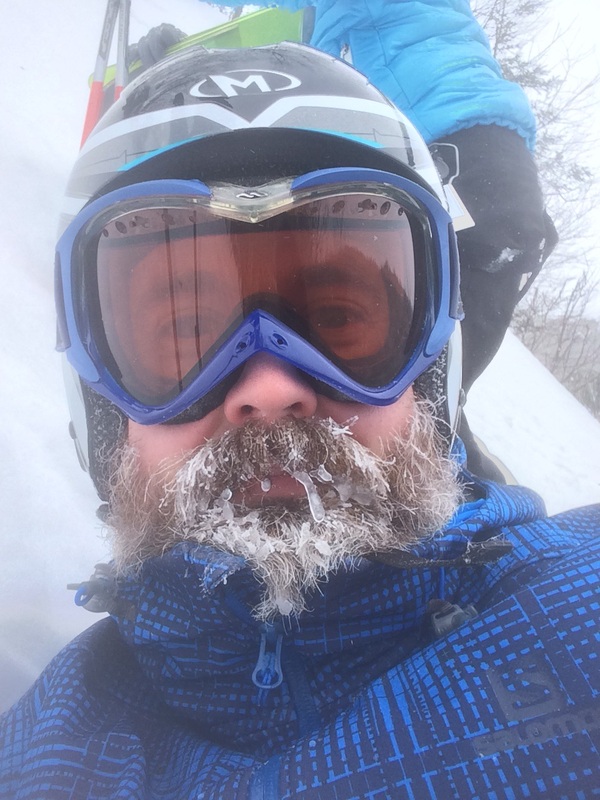 Living in upstate New York, a beard seemed to be the rational way to go to survive our winters. The beard will protect us, but we need to return the favor. Immediately, the search began for how to maintain and nourish my beard, even in the harsh dry winter months. I use Badger Balm to keep my hands intact after frequent hand washing in between patients and after procedures in the hospital. While reloading on balm, I noticed they had created their own beard oil. I firmly believe if you are going to put anything on your face it should be natural. The Badger products are certified organic, no animal testing, all that good stuff. What is beard oil though? Simply, it’s various oils (Shock-a-roo). It contains base oils like argan, jojoba, grapeseed, almond, and castor oil. They provide ‘the base’ that will hydrate, protect and soften facial hairs. Several beard oil products also contain essential oils like fir, sandalwood, bergamot, balsam, cinnamon, and cedarwood (too many options to list them all). These essential oils help provide the scent. The Beard Baron Private Stock pictured above contains amber, cherry, and tobacco (unlit of course) and smells amazing. Why should we consider beard oil? The choice is totally up to the beardsman. Some folks like the all-natural approach, and by that I mean zero products. However beard oils will soften beard hair (make your partner want to get closer), hydrate skin, prevent dandruff/itching and provide an optimal facial environment for beard growth. As I’ve already mentioned, they smell amazing too. There’s a scent out there for everyone. I recommend going to the organic section of your local grocer. They will have essential oils you can sample. There are scents for all seasons. Left, bottle with a reducer. Right, without. (Not pictured, a dropper). What should we be on the lookout for? When I started visiting a proper barber, I became aware of argan oil, which softens, strengthens and makes hair nice and shiny. If you look around the beauty aisle you’ll see how expensive it can be. However, the 100mL bottle pictured above cost $4 (USD). 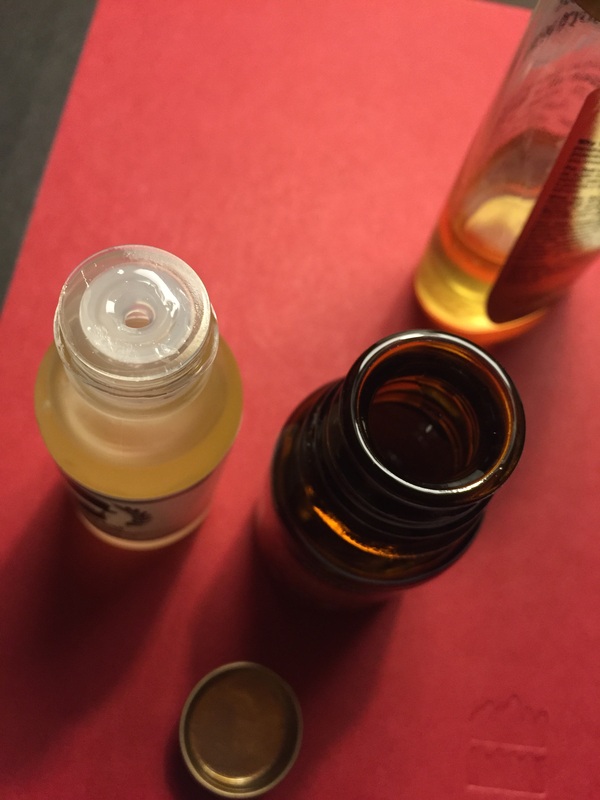 It’s an easy way to determine if beard oil will be for you. Is one ounce enough? Much like with a two ounce tin of beard balm, an ounce of beard oil goes a long way. With a quality comb, an application only requires a couple of drops for a beard three to six months in length. 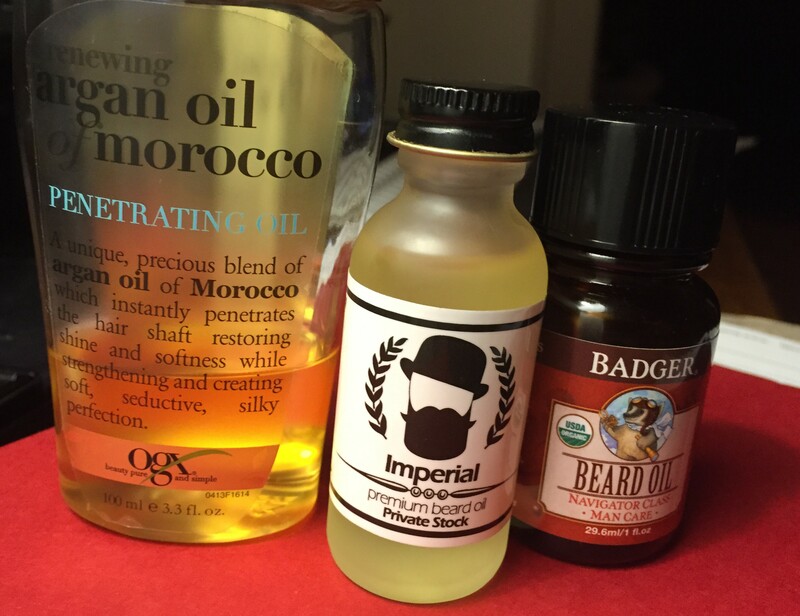 A bottle of beard oil will last months even with daily use. Get out there, read some online reviews, find some scents you like, and treat your beard to what will become part of your morning ritual.